Yes. We are committed to offering our customers only 100% genuine and original products. We also take all necessary actions to ensure this: any seller found to be selling non-genuine products is immediately delisted from Jumia. contact us if you think a product listed on our website does not meet these standards. Do I need an account to shop on Jumia? No, you don’t need to have already an account created. Click on 'Confirm order' to proceed to the payment portal and complete your order. Once your order is placed, we will either automatically confirm it by notifying you via email, or we will call you for confirmation in case we need more details. Please note that this confirmation is a mandatory step before we ship your order. If you are unsure of whether your order has been confirmed or not, do not hesitate to contact our Customer Service Call Center at 19586 or contact us a few hours after your order placement. Option 1: Go to my account - create your return and you’re done! Option 2: Call our customer care at 19586 or contact us to create your return. If you selected a drop-off: Please drop your package at the chosen place following the given instructions (no shipping charges will apply). We will send you regular updates about the status of your order via emails and SMS. After your order has left our warehouse and is on its way to you, you can also track its status by entering your tracking number on here. Are all products on Jumia new and unused? Yes, Jumia only offers 100% new and unused products. The only exception is for refurbished laptops for which we ensure the best quality grade and full warranty from the vendor. Please contact Us if you think a product listed on our website that does not meet these criteria. How can I find the right product on Jumia? You can start by clicking on a category name from the category menu on the left side of the website. This shows all the products we have within that category. If you know what you are looking for, just type the name of the product or brand in our search bar at the top of the page and click Search. Are the prices on Jumia negotiable? Prices on Jumia are not negotiable. Jumia has thousands of sellers which offer you the best prices and deals. Some of our products are offered by different sellers. This allows you to choose your preferred offer. If a product is sold by different sellers, you will find the alternative prices of other sellers in the product page. How do I know if a product comes with free installation? Free installation is not offered unless very specific exceptions. Be sure to check the product description of products to get more details about installation. In case of doubt, do not hesitate to contact our Customer Service Call Center at 19586 or Contact Us. How do I know if a product comes with warranty? Jumia provides you with chance to return your product within 14 days after delivery. Past those 14 days, potential issues will be covered directly by the Seller if the product was provided with a warranty. If a warranty is offered on a product, the warranty period will be displayed on the right product page. If a product is sold by multiple vendors, the warranty period offered by each vendor will be displayed to the right of Seller name, in the 'more information' box. In case of doubt, do not hesitate to contact our Customer Service Call Center at 19586 or Contact Us. How can I claim warranty for my product? Warranties are covered by Sellers, not by Jumia. You can claim any warranty by presenting your product and the warranty card at an authorized service center of the Seller. Do not hesitate to contact our Customer Service Call Center at 19586 or Contact Us to be provided with the contact information of the service center of the Seller of your product. Where are the Warranty Service Centers? Please refer to the manufacturer (or service center) details on the warranty card included with your product or go to your product page on Jumia.com.eg and look for warranty/service center information in the "description" tab. If there is no warranty card, please check the user manual or product packaging for more details or get in touch with our Customer Service Call Center at 19586 or Contact Us so we can help you to resolve the issue. I see that the warranty terms for my product have changed on Jumia from when I bought the product. Will this affect my warranty? Warranty terms for products may change over time. Rest assured, you will be entitled to the terms listed on the warranty card at the time of purchase. I ordered a product with warranty but I did not get a warranty card with my product. How can I get warranty? Please get in touch with our Customer Service Team at 19586 or Contact Us so we can help you to resolve the issue. What should I do if there is a difference in the warranty mentioned on Jumia & the physical warranty card I got? From when is the warranty for my product applicable? The warranty for your product should start from the date of order. Please contact our Customer Support Team at 19586 or Contact Us if this is not the case. Should I register the product with the brand to get warranty for my product? Please always follow the instructions written on the warranty card provided by the brand. There is mismatch in warranty terms between Jumia and brand’s website. What am I eligible for? Warranty terms for a product may change over time. Rest assured, you will be entitled to the terms listed on the warranty card at the time of purchase. I lost my warranty card. How can I get warranty? Even if you've lost your warranty card, you can still claim warranty by presenting your Jumia invoice at any authorized service center. We'll send you an email once your order has been confirmed! We'll also send you an email as soon as your order left our warehouse (shipped). My payment was processed successfully but I didn't get any order confirmation. What should I do? We do our best to get your orders delivered by the date listed on the product page. You can find more information about our delivery timelines here. We also offer a premium delivery service for selected brands called Jumia Express. If you have not already received the email information that your order was shipped, you can simply cancel your order by getting in touch with our Customer Service Call Center. If your order has already been shipped you will not be able to cancel it, but still potentially be able to return it (Check out our Return policy for detailed information). My order is delayed, What should I do? We do our best to deliver on time. If in some exceptional case we are late, we will then inform you proactively. In case of doubt of question do not hesitate to contact our Customer Support Team at 19586 or Contact Us. You can follow your order's progress by entering the order tracking number on https://tracking.Jumia.com.eg/package/tracking. Why am I having trouble placing products in the cart? If you are having trouble placing products in your cart, please make sure that you have made all relevant size and color selections. If you still have problems, this may mean that the item you are trying to buy is sold out. Please get in touch with our Customer Support Team at 19586 or Contact Us. I haven't received the invoice for my order. What do I do? A hard copy of the invoice will always be sent along with your order. If you have not received an invoice, please get in touch with our Customer Service Call Center at 19586 or Contact Us and we will send it to you. What steps does Jumia take to prevent card fraud? Fraud detection and prevention are very important to us. We take all steps to ensure that transactions are genuine and that our customer's details are completely secure. Online payments are monitored continuously for suspicious activity and some transactions are verified manually if we feel that it’s not authorized by the owner of the card. The 3D Secure password is implemented by VISA and MasterCard in partnership with card issuing banks under the Verified by VISA" and Mastercard SecureCode" services. 3D secure password is an additional one-time password, that you’ll be asked to enter on the payments page. This password is known only to you, and is sent to you via email or text. This ensures that only you can use your card for online purchases. What is my card number, expiration date, and CVV/security code? When paying with Credit card on Jumia, we will ask you for your 16 digit Card number and expiry date and CVV (Card Verification Value)/Security Code. Please note that Jumia doesn't save your card information(unless you specify) or CVV information and you will be asked to enter it each time you purchase on Jumia. Please Contact Us or you can call our customer care at 002 19586 from 10am - 7pm on Sunday to Thursday and we will look into individual cases thoroughly. What are the conditions for my return? If you requested a pick up, we will send you a tracking number by SMS after the pickup has been arranged. You can then follow your return by entering the tracking number at here. Please don't hesitate to get in touch with our Customer Service Team at 19586 or Contact Us, if any issues. No, you do not have to return your whole order. You can return certain product(s). What if my returned item is rejected in quality check? If your return is rejected, then we will call you to explain the issue and send the item(s) back to you. We will arrange the delivery of the item. Please note that we will ship the product to you. However, if you didn’t receive it, we will keep the product with us for a maximum of 90 days. Can I return my items after 14 days? Sorry, returns are not possible after the 14 days return period. You can reach our team for further questions at Contact Us. If you experience issues after Jumia’s return/exchange period has elapsed, you can claim your warranty (if any) from the authorized service center of the brand. I haven’t received my card refund reversal yet. What do I do? We assure that your credit card will be credited within 7 to 14 working days after the acceptance of your return. If this is not the case, don't hesitate to contact our Customer Service Call Center at 19586 or Contact Us. I havn’t received my refund amount in my bank account yet. What do I do? We assure that your bank account will be credited within 48 working hours after the acceptance of your return. If this is not the case, don't hesitate to contact our Customer Service Call Center at 19586 or Contact Us. You will have to return your product, within the 7 days after the delivery, and place a new order when it becomes available again. Please do not hesitate to contact our Customer Service Call Center at 19586 or Contact Us, who will offer the closest available substitute of the product to you. Delivery timelines vary depending on your city and your selected product. Please be informed that delivery timelines for products shipped from oversea are significantly longer than for other products: expect one month between your order confirmation and its delivery. Click here to find out more. You can request for your order to be delivered to a different address within the same region or city before your order is shipped: for that please contact our Customer Service Call Center at 19586 or Contact Us. If you want to change the shipping address to a different region or city, we will have to cancel and repurchase your original order. I found the package open and the product seal broken on delivery. What should I do? You should refuse to accept any open package, as we will not accept returns of electronics products unsealed (unless for defective reason). If you do accept such a package by mistake or find out it has been tampered with, please get in touch with our Customer Service Center immediately at 19586 or Contact Us. We will attempt to deliver your order again the next working day. We will try to deliver a total of 3 times before cancelling your order. Will somebody contact me before delivering the package to my location? Yes, our delivery person will contact you to confirm your availability and exact location. Delivery charges are the costs undertaken by Jumia and our logistics partners to bring your ordered item(s) to your doorstep. I ordered multiple items but I have received only one item so far. What’s going on? Items sourced from different sellers are shipped separately to make sure that there is no delay in fulfillment of your order. Rest assured that you will get all your items within the delivery period mentioned on the product pages of those items. We accept Cash on Delivery in all cities across Egypt, except for the locations mentioned here. Yes, this option can be chosen at the checkout step. You will be notified when your items arrive at the pickup station you chose, so you can come for pick up. Please be informed that once available at this pickup station you will have 7 days maximum to pickup your item. After 7 days the item would be sent back to the Seller and your order, cancelled. No, we do not provide international delivery. My parcel has been reported missing. What now? I have a complaint about the delivery rider who came to deliver my order. What should I do? Apologies for the inconvenience caused, please get in touch our Customer Service Call Center at 19568 or Contact Us so we can make things right. How can I sign-up as a customer on Jumia? Start by clicking “Your Account” and then “sign up” in the top right corner of your screen. You will then be asked to provide some basic information. When you have provided the required information, click submit to finish the sign-up process. We will send you an email to welcome you to Jumia. I have forgotten the password to my Jumia account. How do I access it? Click “Your Account” and then “Login” in the top right side of your screen. Enter your registered email address and click “Proceed”. Now click the “Forgot your Password” button to get an email on your registered account with instructions on how to set a new password. Click “Your Account” in the top right corner of your screen (if you are logged in you would see your name there). Now click “Address Book” in the left side of the screen. Click on “Add a New Address”, enter the details of the new address and click on “Save this Address”. Can I add multiple email addresses to login to my account? To make sure that your account is always secure, multiple email addresses cannot be added. However, you can replace your current email address with a new one anytime from "Your Account". Why do I need to provide my email address to sign up? Your email address helps us provide timely information to you about your order. It also acts as your username and helps you log in. How can I change the password of my account? Enter the required information and click "Submit"
Why not just let it be and come back to us whenever you want? However, if you still want to deactivate your account please contact our Customer Service Center at 19586 or Contact Us. Would my account be deactivated if I don’t use it for a long time? We miss you when you don’t visit us enough but we never deactivate your account unless you requested it, or for exceptional cases of customers with very high repeated order rejection rate. Jumia Express items are stored in Jumia’s warehouse, which ensures very fast delivery, no out of stock cancellations, and highest standards of quality storage. Jumia Express items are delivered with the same shipping charges than the other products, and do no request any subscription: choosing Jumia Express items ensures you a premium without extra charges! Click here for more information about Jumia Express. Is Jumia Express available for all products? Jumia Express is only available for selected products. To find out if a product is available with Jumia Express, simply look for the Jumia Express logo on the product page. You can also use the Jumia Express filter to only see items available with Jumia Express. Are faster service options like Jumia Express available for returns? Yes, our timelines for picking up your returned items (whatever Jumia Express or not) are the same as the ones to deliver Jumia Express items. Special event prices become active at the time mentioned with the campaigns details. Stay tuned to jumia.com.eg for more details. Can I buy as many items as I want during special events like Black Friday, Jumia Anniversary or Mobile Week? Usually there's no restriction on the quantity of an item you can buy but during special events like Black Friday, Jumia Anniversary or Mobile Week, we might put a restriction on some in demand items so that everybody gets a chance to enjoy our amazing deals. Will the products I ordered be delivered within the regular timeline during special events like Black Friday or Mobile Week? Jumia ensures that all items ordered during special events like Black Friday and Mobile Week are delivered within the delivery timeline as communicated on the product page. Those may vary from usual delivery timeline, so do check the product page delivery timeline information at the moment of the order. If I place an order during a special event like Black Friday or Mobile Week but only get it four days later, does the discounted price still apply? If your order was placed while the special promotional prices were active that’s all you have to pay. Why should I sell on Jumia? 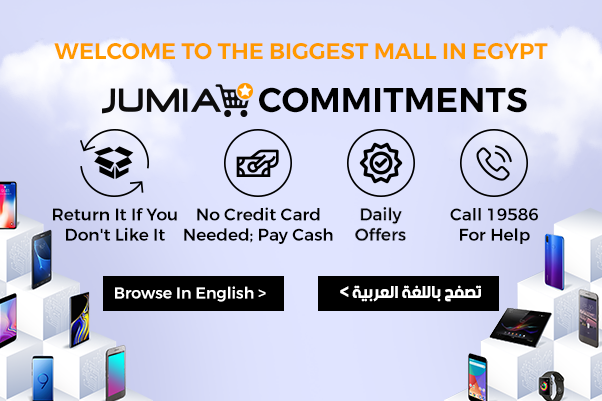 Jumia is Egypt’s largest e-commerce mall. 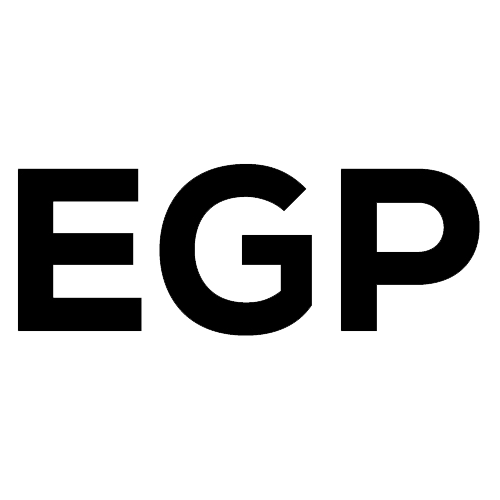 With more than 2,000,000 visits every month, it gives you access to sell and deliver goods to cities and towns all over Egypt. Click here to find out more. How do I register myself as a seller on Jumia? If you sell new and genuine products, you can register yourself immediately by visiting www.jumia.com.eg/vendor-page/ and filling out a brief form. Within 3 business days, someone from our team will get in touch with you to guide you through the rest of the process. If you sell new and genuine products, you can sell on Jumia. Click here to find out more. What are the charges for selling on Jumia? How do I report a listing infringement? If you think that your Intellectual Property Right has been infringed by any of our sellers, you can Contact Us. Click here to find out more. If I have found a security Bug/Vulnerability/Issue what should I do? Steps to reproduce the bug/issue. Your web browser/mobile browser’s name or app and version.